I think the general public often assumes that classical musicians only listen to classical music. And, although this is true for some, you will see in the answers below we have a wide variety of tastes and interests. I mostly listen to female artists. Since college, I have liked singing along to the songs of female artists, and their songs are mostly dealing issues about independence and love. Lately, I have been listening to “U don’t have to call” by Eryka Badu, as well as the songs of Fiona Apple and Joni Mitchell. I like everything that’s related to musicals. It’s so impressive to see people doing something artistic and expressive at such a high level, and with every part of them. Musicals display virtuosity to the audience. Lately, I have been listening to a lot of Hamilton and other Broadway musicals. My favorite artist is Judy Garland. I like the band Jars of Clay. One of their songs recently came across on my Spotify playlist and I remembered that I liked them back in high school when my brother was listening to their songs in the house. Especially the song “Closer” really bought me into them again. I have been listening to a lot of Sibelius and other pieces on which I am currently working. 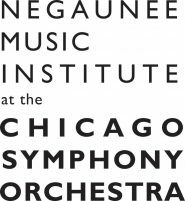 But when I am not listening to classical music, I like the Chicago hip-hop scene. It puts me into a different mood. Lately, I have been listening to Kweku Collins, a local hip-hop artist, whom I came cross on a TV show and have been enjoying his music since then. My favorite artist is Shakey Graves, an indy folk guitarist and singer who is also an actor by the name of Alejandro Rose-Garcia. I came across his video on Youtube and, because I play a little bit of guitar, was really drawn to his guitar playing. He has a sweet guitar because it has a kick drum, pedal, and tambourine connected to his suitcase and he plays them while playing the guitar. I think Alejandro is so talented and I like his style a lot. I mostly listen to the music I am currently working on. I am the kind of person who does not like background music because I think music is an active experience. But when I get a chance to listen to something not classical, I listen to top 40 pop music. And my favorite artist is Ed Sheeran, his music has good hook and melody. I only listen to classical music. Lately, for my upcoming solo recital, I am working on and listening to pieces by Carl Vine. He is a composer from Australia and the CSO gave a world premiere of his trombone concerto last season, Five Hallucinations, written for CSO Second Trombone, and Australia native, Michael Mulcahy. His piano sonatas are very well-written contemporary works and they allow the pianist to show the ability of the instrument –which is very important for works written in 20th century. Vine really explores how a piano can sound and incorporates it into the music. He uses the full register and range, which can sound difficult to the audience but fits in the player’s hands. I also love opera, especially works by Strauss. Seeing an opera is amazing because it includes vision, sound, voice, orchestra, and story. I love the staging and the costumes. I mostly listen to what I am working on, but when I get a chance, I listen to few 90’s electronic albums. I like Cibo Matto, which is Japanese 90’s electronic music group. I think I like the 1990’s/early-2000’s music because it brings me back to high school years when I listened to a lot of that music growing up. When I am driving, I turn on 104.3, because they play 90s jams. I listen to a lot of funk jazz when I am go to the gym because I need the upbeat, positive vibes for a workout. I usually just turn on the Spotify playlist. When I am not working on classical music, I try to listen to a completely opposite style of music to create positive energy, which allows me to take a break from the stress. I listen to mostly classical music, of which Bach is my favorite composer. I have been listening to a lot of Bach’s keyboard music lately because I recently went to a piano recital where it was featured. The best thing about playing and listening to Bach’s music is that the voicing and articulation are so clear that I learn how the music fits together. I listen to music on Spotify and lately I have been listening to Berlin Phil’s recordings of Holst’s The Planets and Sibelius’ Karelia Suite. Karelia Suite makes me miss the summertime because I that’s when I first saw San Francisco Symphony’s performance of the piece. …and I like the Beastie Boys, a legendary hip-hop group. I’ve been listening to their album ‘License to Ill’ since the first grade. I listen to Death Grips, they are experimental hip-hop band from Sacramento. Their music is very loud and aggressive which helps me to not fall asleep while driving home. And I like Popul Ace, a Norwegian rock band. I like their lead guitarist, Arne Schulze. Robin got me into Popul Ace, actually. I usually listen to the repertoire that I have to perform. The kind of music I listen to depends on how I am listening to it. If the music is just in the background while I am driving, I will listen to calm, emotional music and if I am really focused, and have to study it, I will listen to intense music. But when I have spare time, I have a record player at home and have been listening to Cat Stevens’ LPs. I like the song “Hummingbird” a lot. I mostly listen to what I am working on in the practice room. I like practicing However, when I am just relaxing or having music in the background for chores, I have been listening a lot of Ed Sheeran and James Bay lately. The lyrics of their songs really draw me in. Also, I love Chris Tomlin, a Christian music artist and worship leader. I’ve liked him since middle school and recently, when I went to his concert in the city, I came across Tauren Wells who collaborated with Chris for a U.S. tour this year, and his songs are amazing too.